For those who have failed to adapt to the constantly changing Google algorithm, link building has long been considered dead. However, links, alongside great content, are said to be Google’s number one ranking factor. And though ranking without links is hard, there are other things to pay attention to if you want to rank higher on search engines. High-quality content attracts links naturally over time. But this content must be created for those people who can actually give you links. Although SEO is not all about links anymore, links are still vital to getting high rankings. But this time, it’s the quality of those links and not the quantity that determines your search engine ranking. But you don’t have to buy links. You earn them instead. A good way to manage your links is by creating a volume of content with consistently amazing quality. When your content gets shared, you will then earn your links naturally. One way to boost your SEO incredibly well is through guest blogging. However, it must not be the “black-hat” guest blogging type. Consistently creating content that is high quality is what will most likely to be shared. It must help people solve certain issues and not just useless posts with spammy links. Aside from being useful, it must also be original and relevant – the type of content that will appear in organic search. As a way of building backlinks through shared content. It will help you build trust and will position you as a thought leader in your niche. Another viable SEO strategy is to create videos that will keep your audience engaged and entertained. 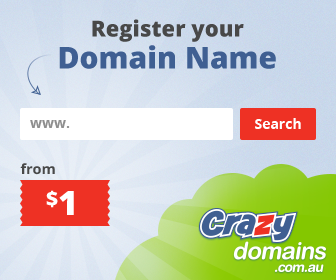 It will help generate a large number of high-quality links from reputable domains back to your website. And if used correctly, it can be an extremely powerful tool that will add a significant value to your SEO strategy. The secret to having shared content it to make it exceptional. Consulting with an expert to help you come up with a great outreach and marketing plan will help. Since people these days no longer share rubbish content, it’s important to keep in mind that your videos must offer something to your viewers. You must either educate them, make them laugh, amaze them, or even shock or annoy them. As long as it evokes a strong emotional reaction, people will most likely share it. Either by creating a post about it on their own website with a link back to your site or by clicking the share button. User experience is one of the factors that greatly affect website traffic, making it critical to SEO. If your website is sluggish and doesn’t load within three seconds, don’t expect the majority of internet users to tolerate it. Instead, they tend to move to another site. So structuring your content and not oversaturating your website with videos and heavy images is important. And aside from ensuring a fast loading time, also test your website’s link to find any broken links and duplicate content. Your content should also be appealing both to the users, making sure it is conversational, and to search engines. Users must not experience any problem navigating from page to page. And making your website mobile friendly is a plus due to Google’s mobile-first indexing. Through AMP, your content will load faster on mobile devices, thus enhancing your site’s ranking in mobile searches. A decrease in mobile load time means an increase in user experience. SEO plays a very important role when it comes to the success of a business. As a result of Google’s ever changing algorithm and other metadata, building a large number of links no longer guarantees to rank your website will rank long term. With Google constantly making changes, what works today may not always work tomorrow. But understanding the needs of your target market is crucial to increasing both your site traffic and conversion rate. Are you doing any of these tips with your SEO? I’d love you to leave a comment in the comment section below.